From original soundtracks to classical music famously used on the big screen, we’re celebrating music that makes the movies magical! It’s KUSC at the Movies! All this week, we’re playing your favorites from scariest horror scores to tear-jerking love themes. Celebrate every flavor of movie music, plus this year’s Oscar nominees. 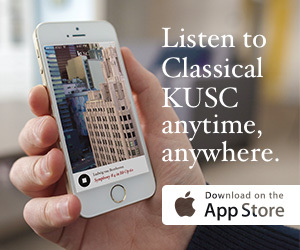 Tune in every hour of the day for KUSC at the Movies! Wednesday: Near Misses. Discover incredible music from films scores which didn’t win the big awards.